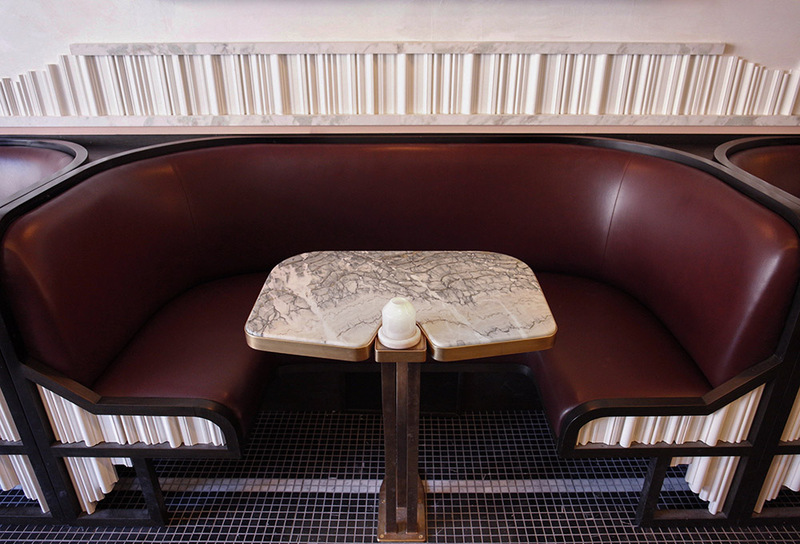 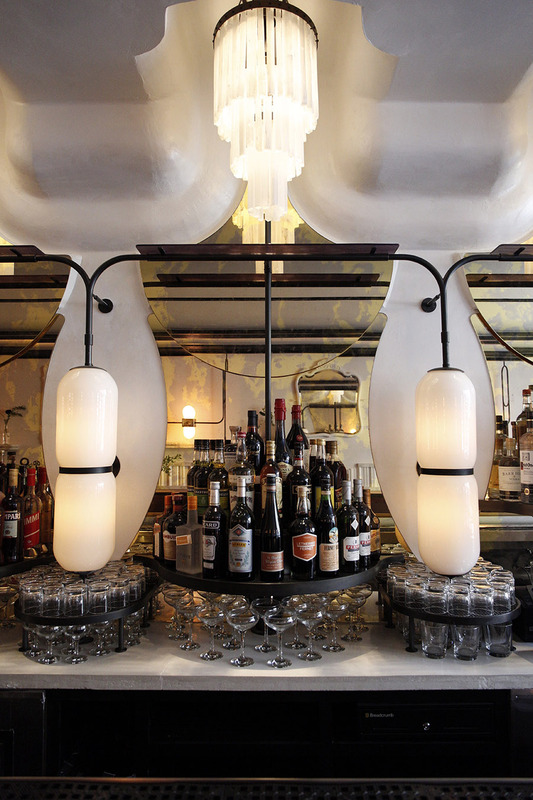 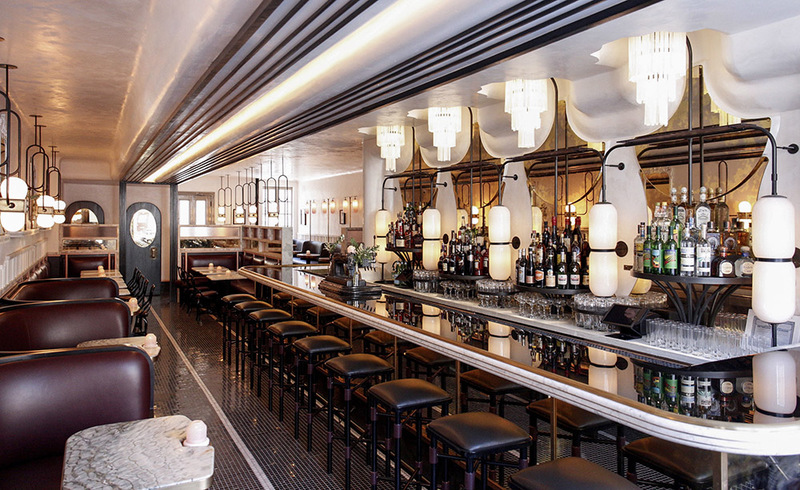 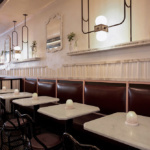 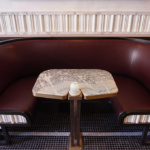 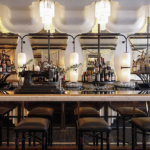 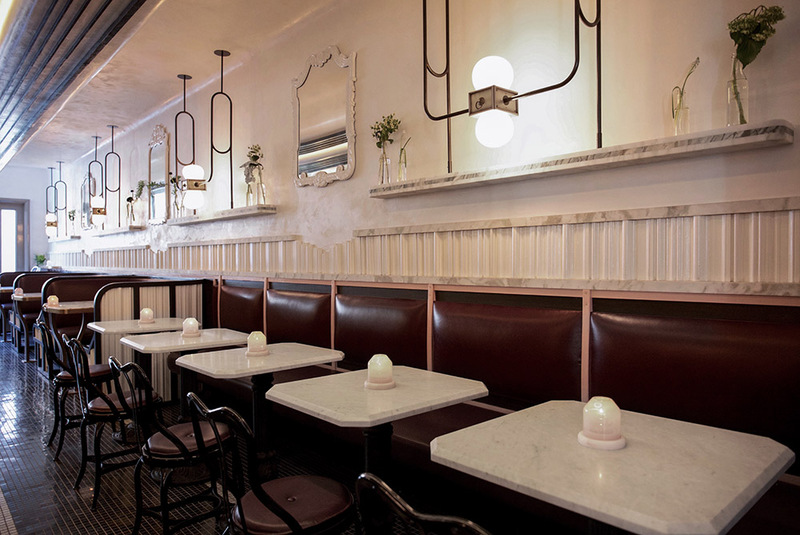 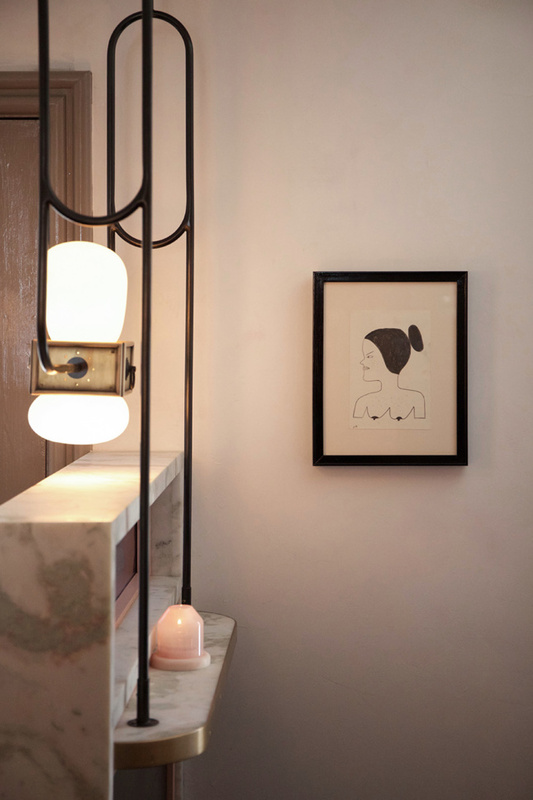 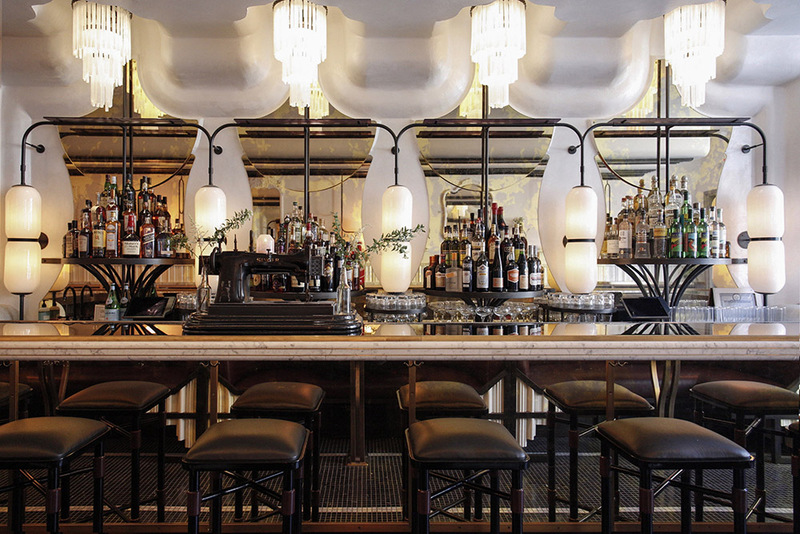 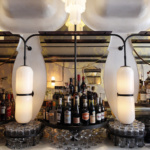 Elsa, a new Brooklyn cocktail bar by Home Studios is inspired in part by Jean Royère’s furniture and is named after fashion designer Elsa Schiaparelli. 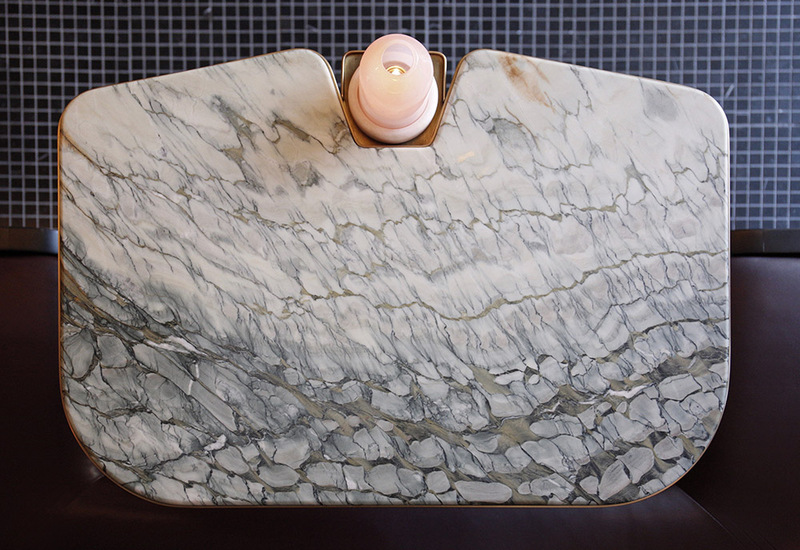 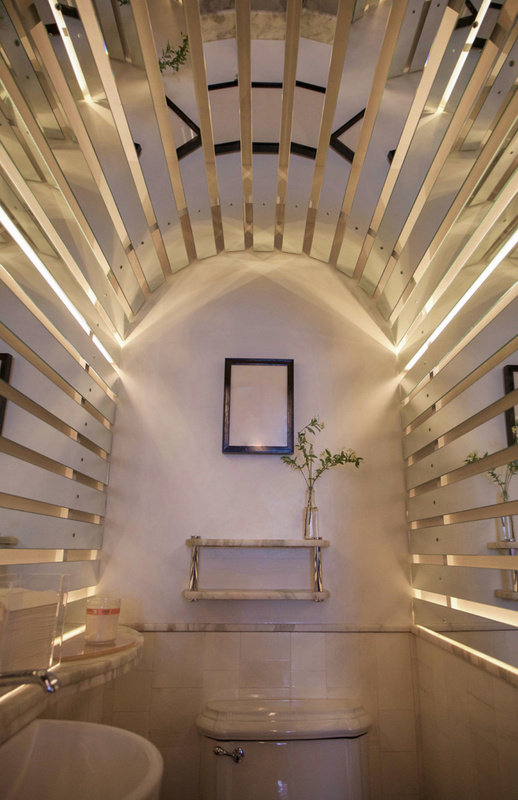 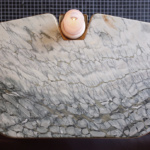 and so imagined what that idea would look like in this new context.” The marble flooring, the marble and blown-glass candle shelves, the toilet tank lid, and the mirror strips are all custom. 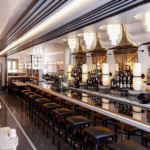 that kept the essence of the Manhattan location, but with greater sophistication,” said principal Oliver Haslegrave.